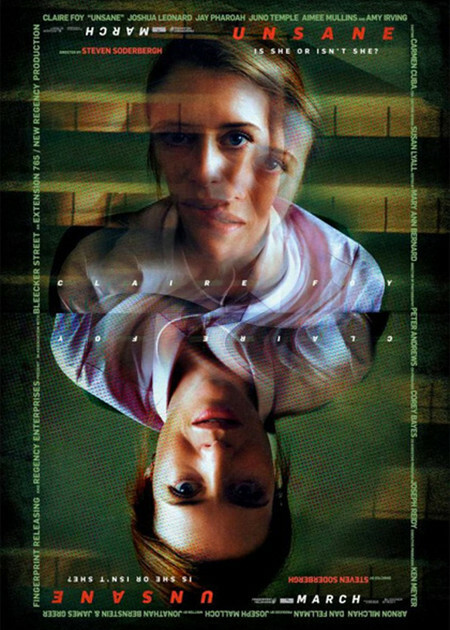 Trama: Steven Soderbergh's tense new thriller Unsane stars Claire Foy as Sawyer, a woman who is starting a new life in a new city after escaping her creepy stalker, David (Joshua Leonard), only to find that new life disrupted when she is involuntarily committed to a psychiatric hospital after a simple counseling session. As she begins to question her own sanity, she is pushed even further when she discovers that David has seemingly gotten a job as an orderly at the hospital,which gives him all the control over her that he could ever want. For much of the movie, the audience is invited to question Sawyer's reality right along with her. Is she really mentally ill, and simply in a place where everyone is trying to help her? Is David really there, or is she projecting the face of her stalker onto an innocent orderly? Is her friendly fellow patient Nate (Jay Pharoah) telling the truth about the hospital keeping patients unnecessarily and against their will in order to make claims on their insurance, or is he paranoid and delusional?